Since October the 2nd, Master of the Universe is available on cinemas and VOD in the Netherlands. The movie premiered in front of the Chamber of Trade Palace in Amsterdam and the main actor Rainer Voss attended the screening and took part in the Q&A session. This release will be followed by Greece on November the 20th, France on November the 12th for the Ultra-VOD release and November the 26thfor theatrical, Italy on November the 27th and Poland on December the 5th. 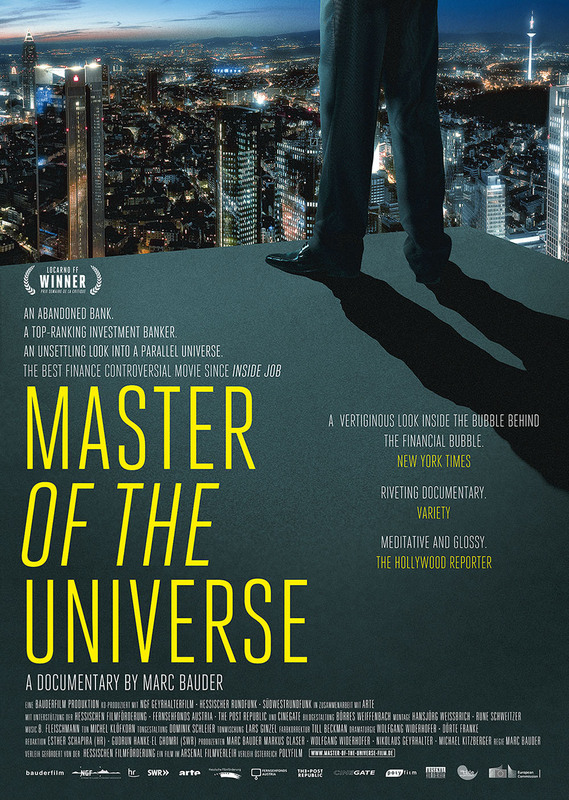 Besides being available in more than 30 cinemas in Europe, Master of the Universe will also be available on iTunes, Google and local VOD platforms simultaneously or almost simultaneously.Master of the Universe was just nominated at the European Film Award in the category “European Documentary”. Investment bankers are the real Masters of the Universe. In the heart of Frankfurt a top banker gives a disturbing insider’s testimony of his emotions, motivations and predictions. Revealing a parallel universe of extreme income and merciless pressure. A portrait of a system disconnecting bankers from the outside world. Master of the Universe is one of the best finance controversial movie since Inside Job. A thrilling and disturbing personal view of power abuse in the financial crisis in Europe.